This post is part of a series on basic chart interpretation and how to read a natal chart. The other steps are listed below and will be developed soon. 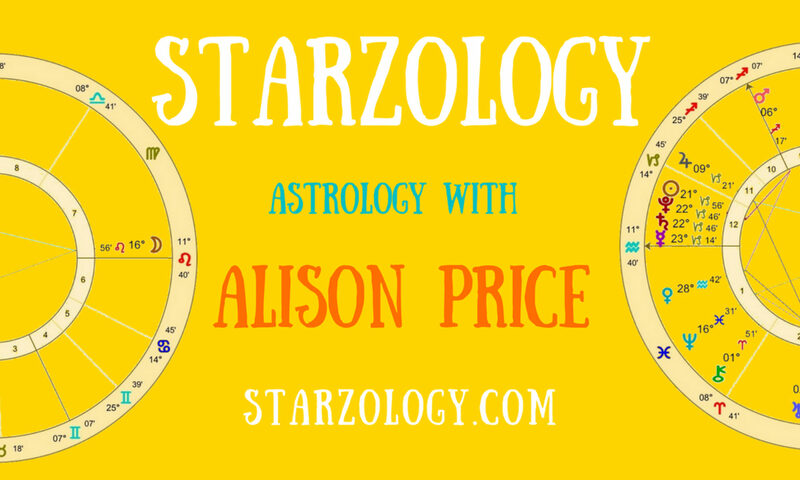 Step 1 – The birth chart data – time, date and place. Step 2 – The physical chart – printing and highlighting main features. This time I going to share with you some of my process and the focus will be on the natal chart. I will answer the following questions that plague new astrologers. Once you have the chart cast what do you look for? What is important? What is not worthy of consideration and where do you start? The image below is of a chart for Rosie and she is one of my clients. I have not shown the chart details that is; the time, date and place as that is not important. What we are going to be looking at is how to prepare a chart for reading after you have printed it out and before you start. This is like step 2 of the natal chart reading process. In Solar Fire or your other astrology program print a chart with a half aspectarian in the corner as shown above. This is a standard chart so you should have no problem doing this. Write the house rulers against every house cusp. Start at the ascendant and in this chart (above) I have written Jupiter/Neptune and drawn a bubble around them at the house cusp. Draw a circle in the top right of the page. Draw a cross in it with one horizontal line and one vertical line. This shows the four quadrants (1st, 2nd, 3rd and 4th) and the four hemispheres (north, south, east and west). Only counting the visible planets from the Sun to Saturn count how many planets are in each quadrant. In this chart there is one planet in the first quadrant (Saturn), two planets in the second quadrant (Jupiter and Venus), three planets in the third quadrant (the Sun, Mars and Mercury) and one planet in the fourth quadrant (the Moon). Draw a table of four columns and three rows. On the top label the columns F (fire), E (earth), A (air) and W (water). On the side label the rows C (cardinal), F (fixed) and M (mutable). Add the number of visible planets (the Sun to Saturn) and write the quantity in the appropriate cell in the table. Add up each row and column. The total will always be seven. Find the chart ruler which is the planet or planets that rules the ascendant sign. In this case, it is Pisces so the ruling planets are Jupiter and Neptune. Colour in each instance of the ruling planets in yellow. Find all the major aspect patterns. In this chart there is a stellium of the Sun, Neptune and Mars and a Moon yod of Mars, Pluto and the Moon. Bracket the stellium and highlight in red so you can see it easily. Colour the yod in green to relate to the quincunx colour which is green. The idea is to bring forth the main features of a chart through the use of colour so you can easily see the main points when you pick up this chart again next month. If you are reading many charts a week you do not have time to reread each chart to discover the main threads. they should be highlighted the first time around. Note the most elevated planet in this case it is Mercury (although I originally noted Mars in the drawing and I can’t change the image. Note the oriental planet in this case it is Venus. Note the lunar phase in this chart for Rosie it is a gibbous Moon phase. Find the essential dignity of the planets and write the score on the left of the aspectarian. the aspectarian is the triangle-shaped grid at the bottom left of the chart. In this chart we note that Mars gets a score of -5 for being in Libra and Venus of -4 for being in fall in Virgo. Note all mutual receptions in the chart. Interestingly enough in Rosie’s chart there are two mutual reception pairs, Mercury and Venus are the first pair and the Moon and Jupiter are the second. On the back of the natal chart page you will also draw the dispositor tree using these handy mutual receptions as your start. Watch the video about highlighting a birth chart as part of your chart preparation process. Note that it refers to another birth chart but show sthe process that you will use for every chart you cast.